It has been widely reported in the media that many matriculants who met the criteria to study degree programs at university level have been sorely disappointed when trying to register during January this year because of student numbers. However, there is still some hope and opportunity for those disappointed individuals! Degrees offered by the aaa are formally accredited by the Council on Higher Education (CHE) and registered by the Department of Higher Education and Training. In addition, all the aaa qualifications are internationally recognized and carry the IAA accreditation, which means that the path for our graduates’ success is paved. The aaa is the ‘birthplace of brilliant’ with 86% of the graduates employed immediately after completing their studies. It is the place where the advertising and communications sector shops for talent. 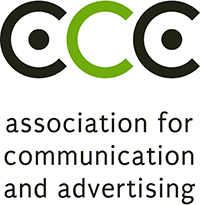 The institution is owned by the Association for Communication and Advertising (ACA) which is the recognized industry body of the advertising and communications sector in South Africa, and represents those agencies who contribute approximately R42 billion annually of total measured ad spend. In a nutshell, the aaa is owned by approximately 96% of the agencies who generate jobs in the sector.